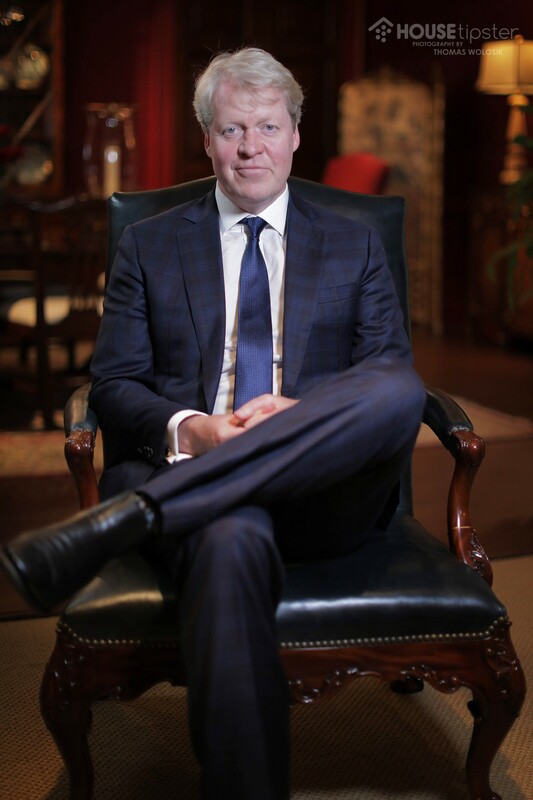 Earl Charles Spencer unveiled the latest historical British decor pieces in his Althorp Living History Collection, a collaboration with Theodore Alexander, at the fall 2018 HPMKT. “For 500 years, the house looked after this furniture, and now, the furniture looks after the house,” Charles Spencer, the 9th Earl Spencer, told designer Christopher Grubb. 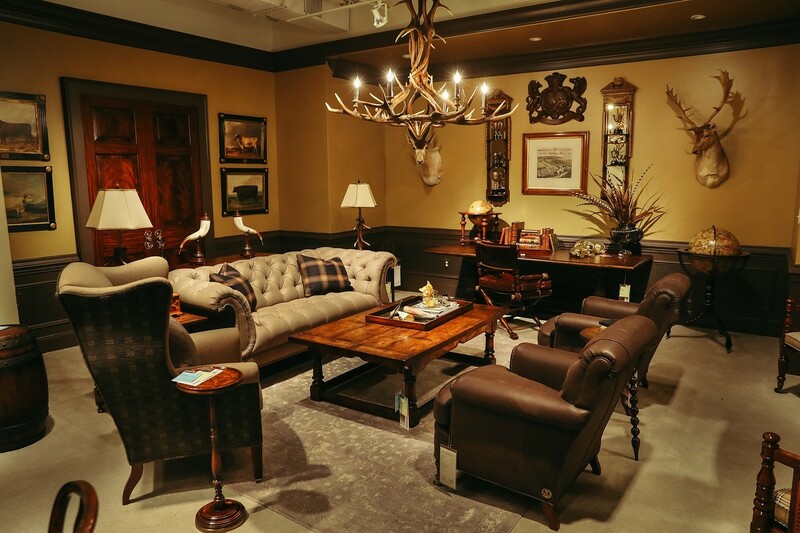 The duo convened at the fall High Point Market in High Point, North Carolina to discuss the 30 latest additions to Earl Spencer’s collaborative effort with Theodore Alexander: the Althorp Living History Collection. This historic assemblage of furniture and home accessories are luxurious market reproductions from the Spencer family’s 500-year-old Althorp Estate. The estate is located in Northamptonshire, England, and is a stunning museum on its own. In 1992, Charles Spencer took over the vast property, which was originally built in 1508 and has housed 18 generations of Spencer ancestors. 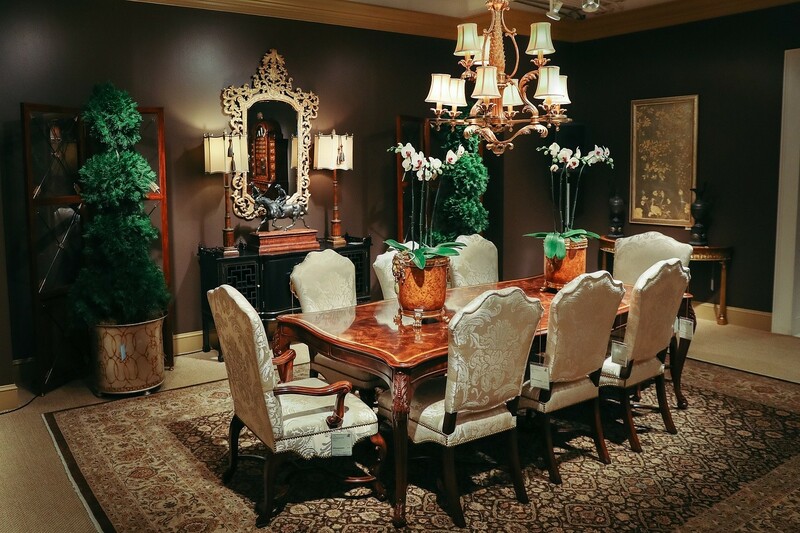 As you can imagine, centuries of family memories are closely tied with incredible antique furnishings. Every item that composes the Althorp Living History Collection has its own unique story, and Earl Spencer is the link that brings them all together. The line currently features 100 pieces, and several new additions are debuted each High Point Market season. The idea to create these historically-relevant replica pieces in the first place came directly from consumers. “We have so many parts to our [family] collection, but it never crossed my mind [to replicate] until people came to me about it,” Spencer explained to Grubb during our exclusive interview. This Fall 2018 season’s introductions include four new upholstery frames, 19 new fabrics and a variety of accessories including lamps, chandeliers, and trays. Spencer’s favorite pieces include a Butterfly Box and an elegant Painted Room Chair. House Tipster wishes to extend our gratitude to Earl Charles Spencer and Christopher Grubb for participating in this special interview.